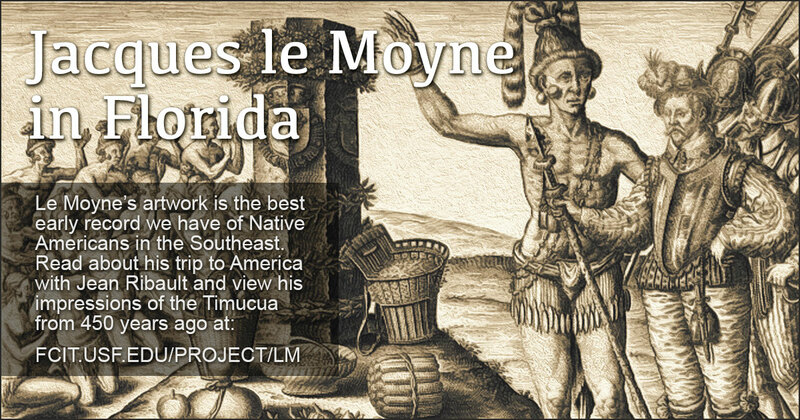 Le Moyne’s artwork is the best early record we have of Native Americans in the Southeast. Read about his trip to America with Jean Ribault and view his impressions of the Timucua from 450 years ago. Use this banner on social media to share our collection of le Moyne resources. 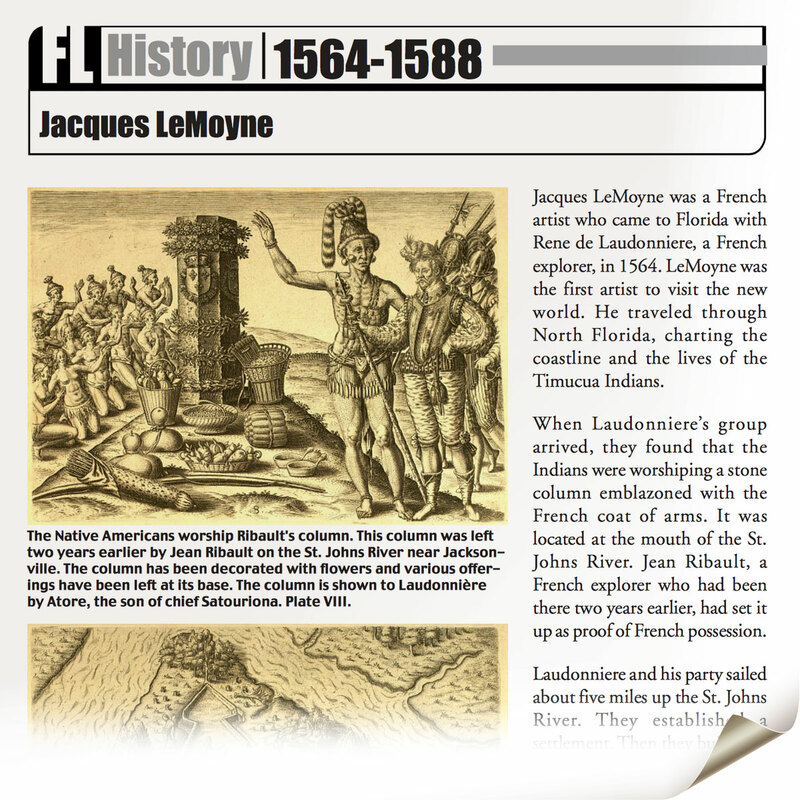 Two-page PDF introducing le Moyne to upper elementary students, from the Exploring Florida website. 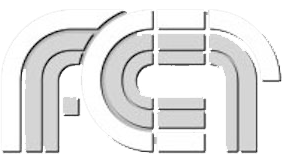 The reading is one of over 70 articles about Florida history from the “Florida Then and Now” series. 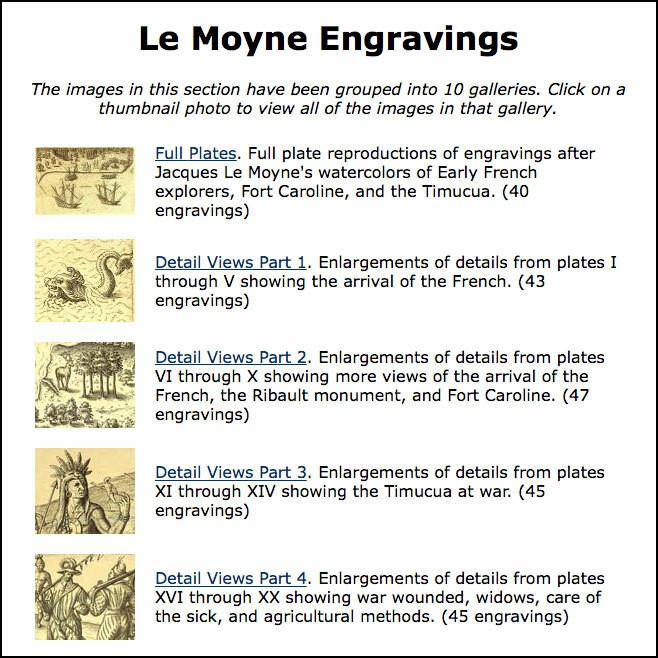 Almost all of le Moyne’s drawings were burned in the destruction of Fort Caroline. The “drawings” we study today are actually copies that a European engraver made for publication. Illustrations from the Exploring Florida website. 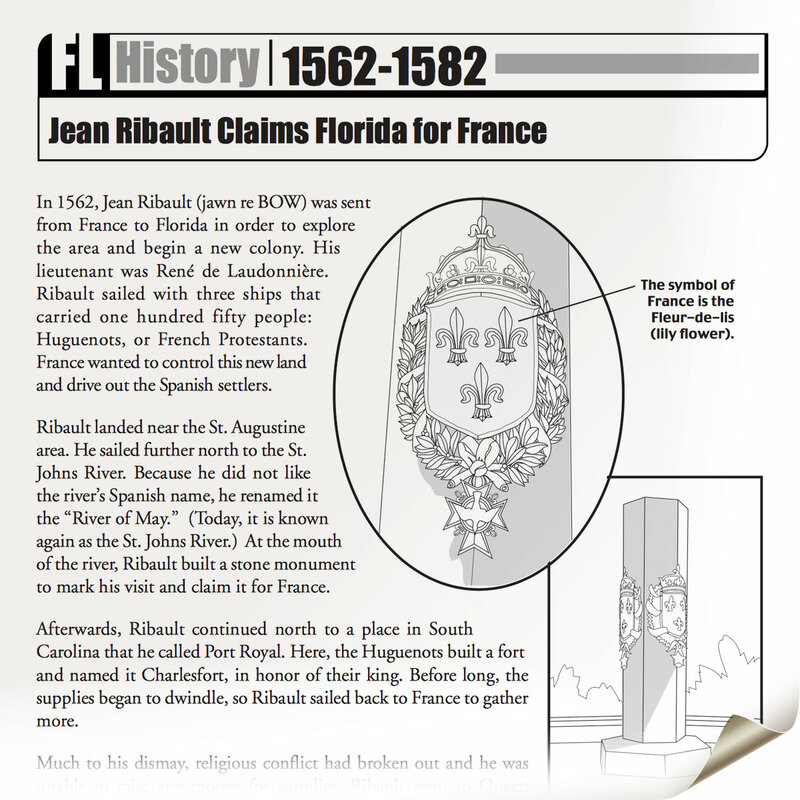 Two-page PDF about Ribault’s original visit to Florida provides a background for le Moyne’s visit. From the “Florida Then and Now” series on the Exploring Florida website. 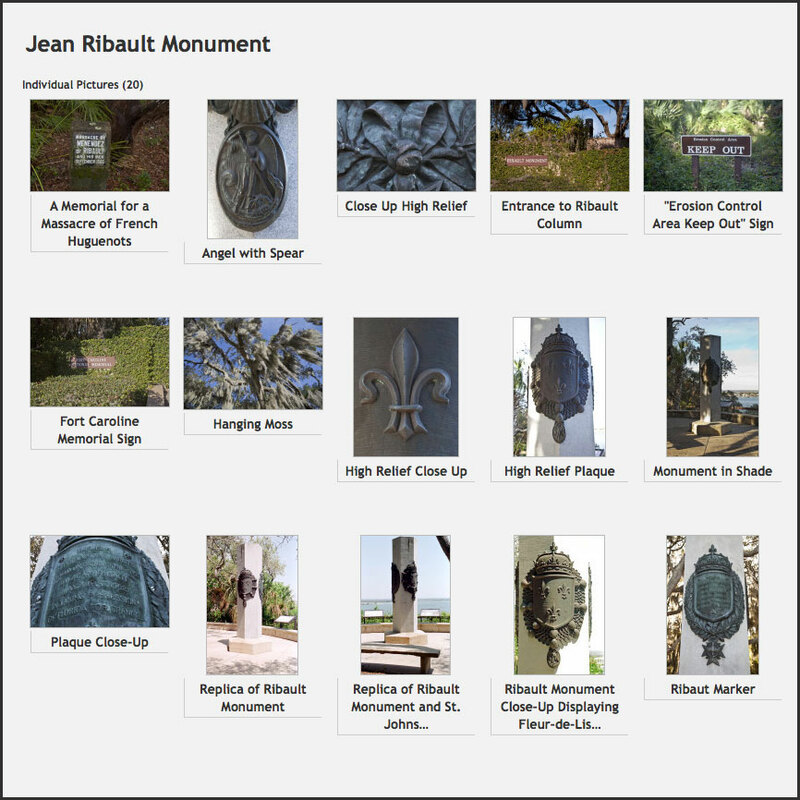 Gallery of photos of Ribault’s monument from the ClipPix ETC website. One of le Moyne’s pictures shows Native Americans gathered about the monument. 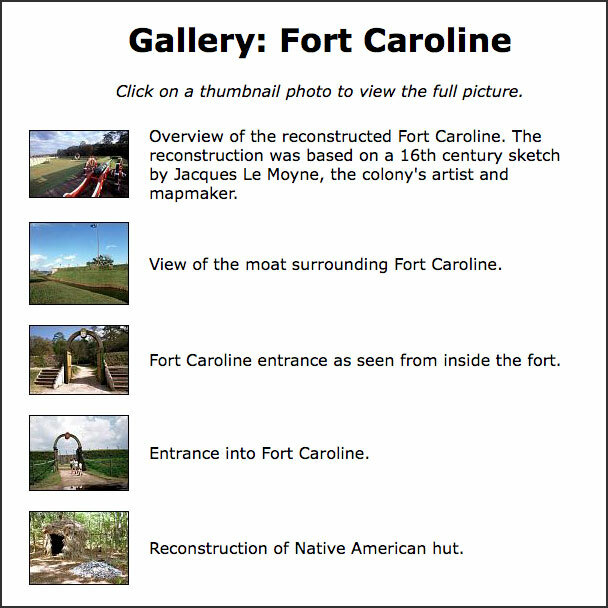 Nine photos of the reconstructed Fort Caroline from the Exploring Florida website. The original fort was destroyed and the shoreline have changed in the centuries since its destruction. This scaled-down version was built near where historians believe the original fort was located. 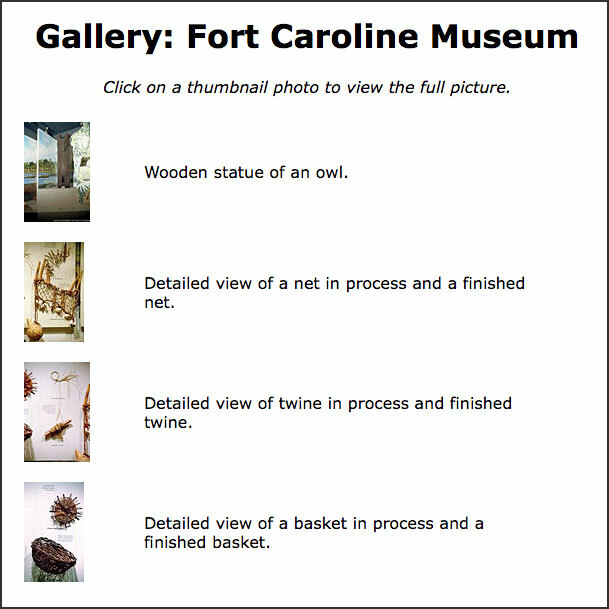 Gallery of 17 photos taken inside the Fort Caroline Museum from the Exploring Florida website. 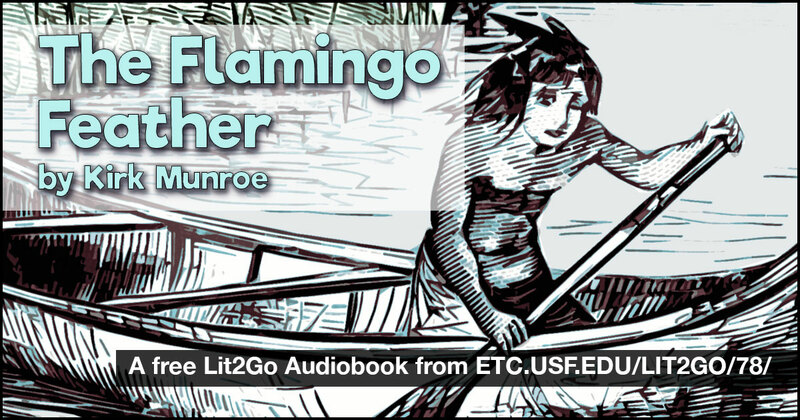 The Flamingo Feather by Kirk Munroe is historical fiction set at Fort Caroline. Munroe was a conservationist and outdoor enthusiast who included rich descriptions of natural Florida in his writing. Complete audiobook and separate PDFs for each chapter available from the Lit2Go website. 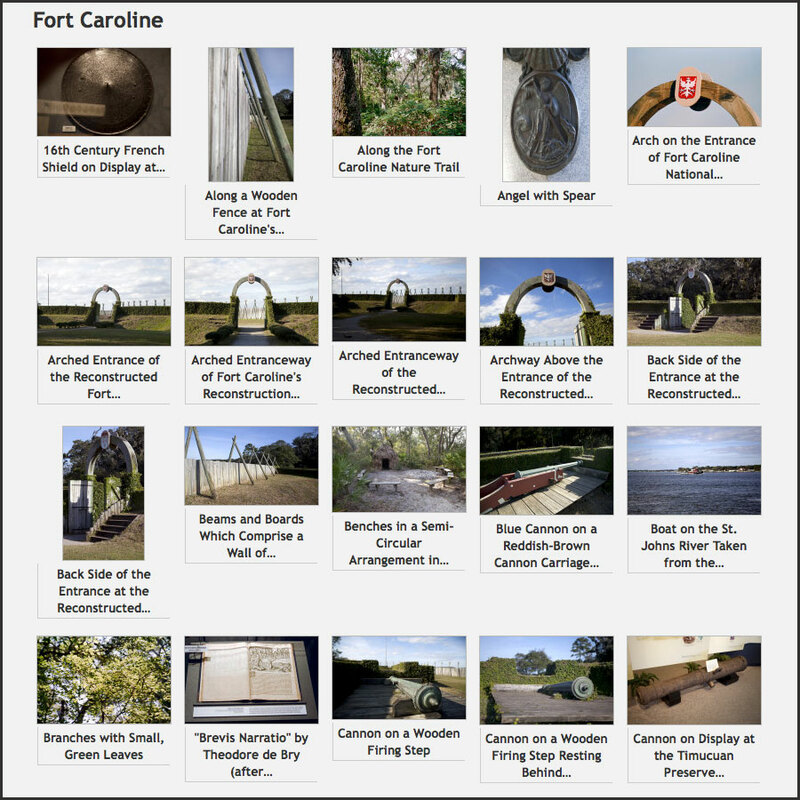 Over a hundred photos of Fort Caroline and museum from the ClipPix ETC website. 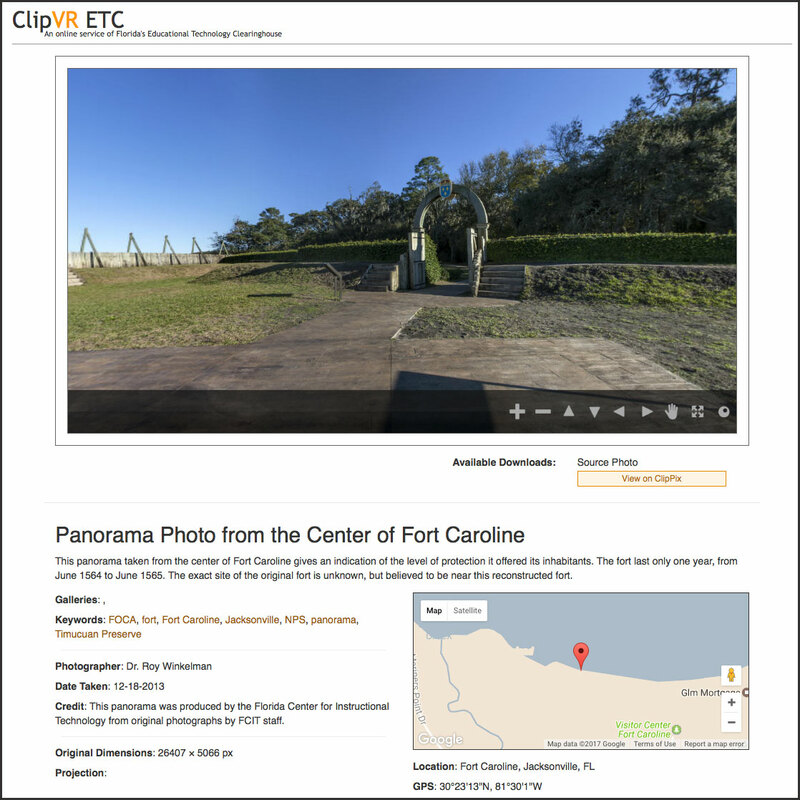 Virtual reality from within the reconstructed, scaled-down Fort Caroline. From the ClipVR ETC website. 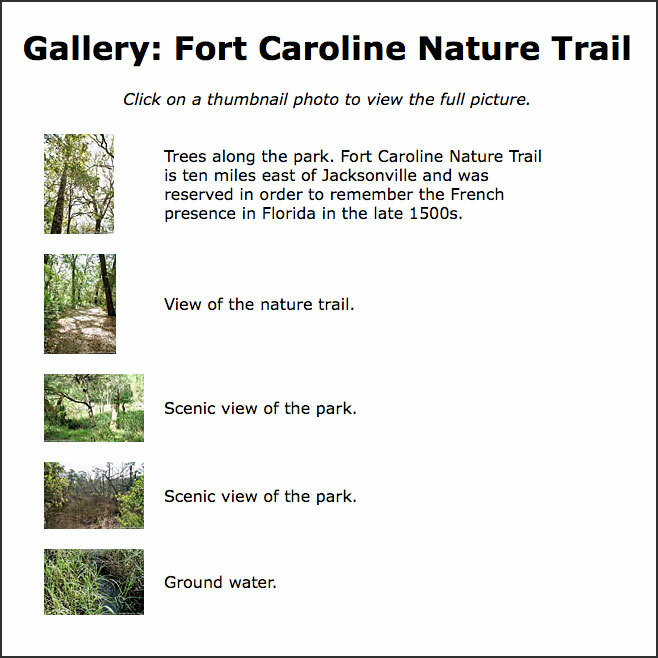 Gallery of 22 photos of the nature trail located in the Fort Caroline Park, from the Exploring Florida website. Le Moyne’s pictures of New World plants were the first opportunity for Europeans to see American botanical specimens. 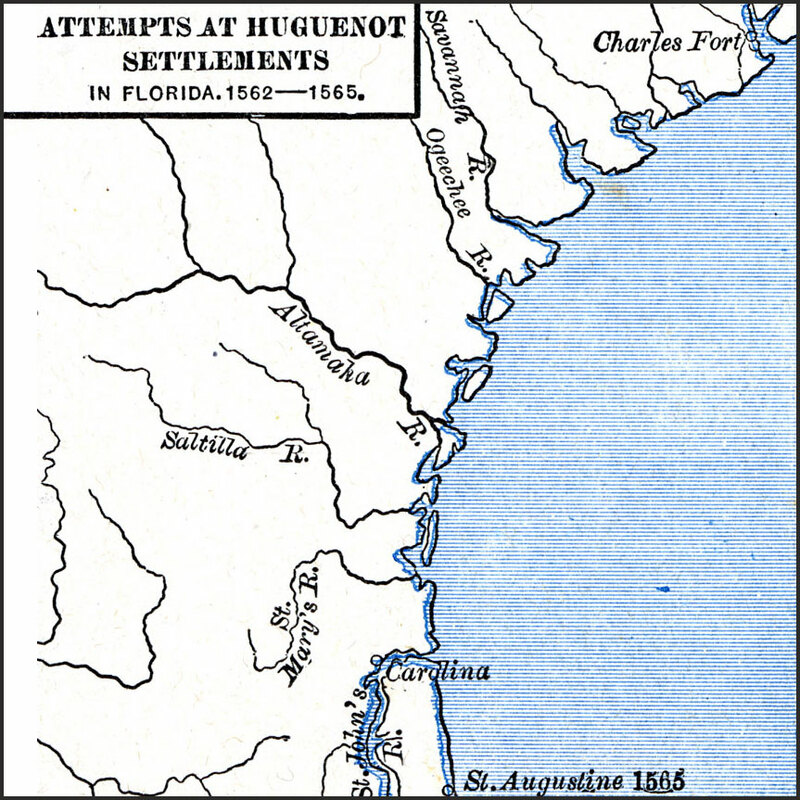 A map showing the settlement attempts by French Huguenots (Charles Fort and Fort Caroline) in relation to St. Augustine, from the Maps ETC website. 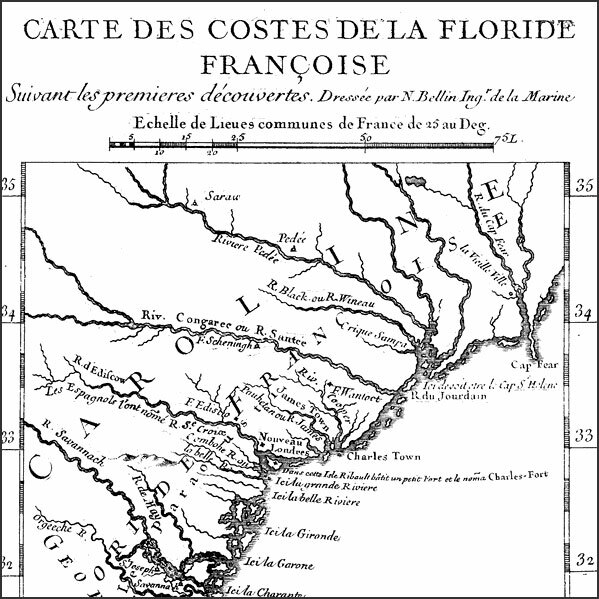 Carte des Costes de la Floride Françoise. Map of French-governed colonies from the Exploring Florida Maps website. 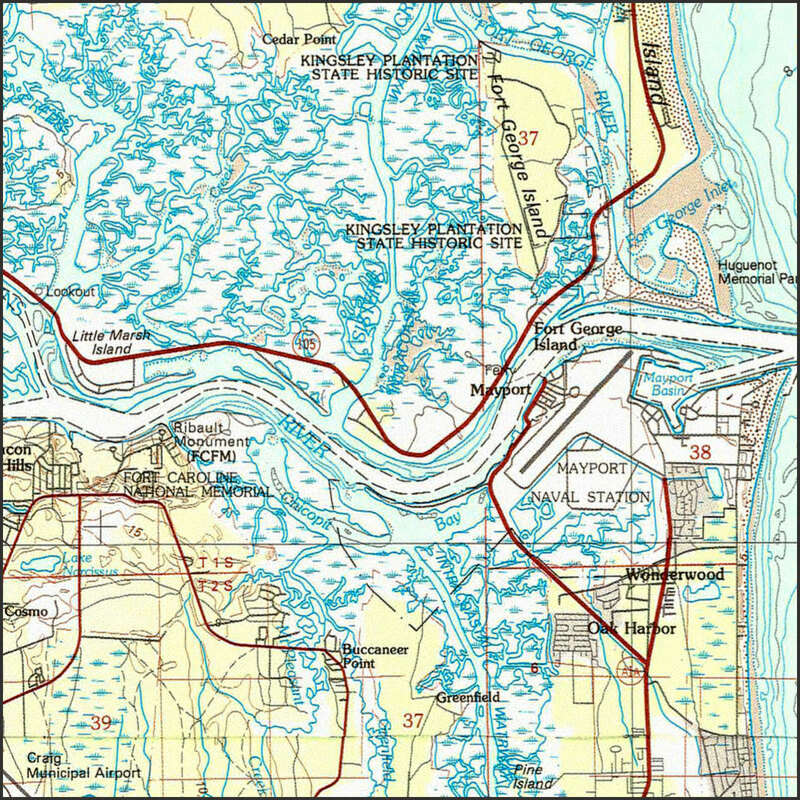 This modern map shows the relationship of the For Caroline National Memorial, the Ribault Monument, Kingsley Plantation, and Mayport Naval Station. From the Maps ETC website.